Opening Times: Open daily at 10am to 5pm. Price of Admission: Not Free. Notes: St Catherine's Castle is a small harbour defence castle, built as part of Henry VIII's south coast fortifications in the late 1530s. A map of Fowey Harbour of 1540 describes it as "half-made". It receives its name from the rocky headland it sits on known as St Catherine's Point. 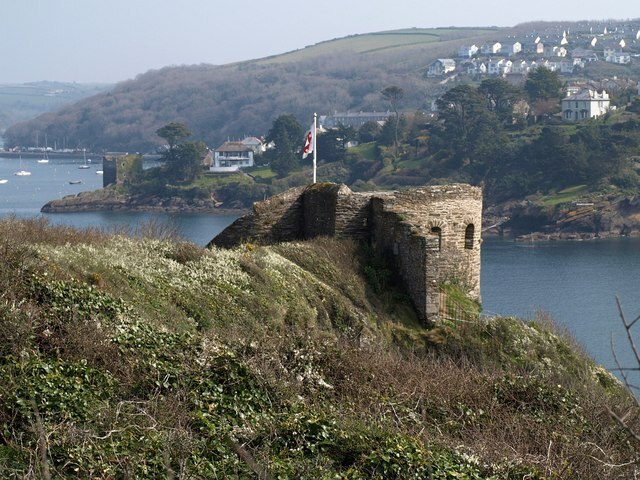 The building work was supervised by local man Thomas Treffry, who went on to supervise the building of Pendennis and St Mawes castles in the 1540s. It was kept in repair throughout the Tudor period and manned by the Royalists during the first part of the English Civil War (1642-6), but by 1684 it was described as "ruinous".